In the battle for CMS dominance, there are three main players in the Open Source space: Drupal, Wordpress & Joomla. This blog isn’t a comparsion of the three, though there are plenty out there. What I want to focus on is all of you who have a Wordpress site and want to transition it to Drupal—easily. We have found that there is a lot of user crossover between these platforms, Wordpress in particular. 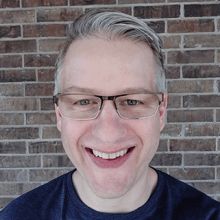 The maintainer of the Migrate module, Mike Ryan, has done great work on the Wordpress Migrate module which leverages the Migrate module to import Wordpress content into Drupal. While this module is great, it still requires Drupal users to execute several steps to be able to download and install Wordpress Migrate. We wanted to streamline the process to make migrating to Drupal as easy as possible in as few steps as possible. What we came up with is a small kickstart Drupal distribution that is easy to install, and includes step-by-step instructions on the homepage. The inspiration came from the Commerce Kickstart project, which attempts to make it easy for new users to get setup with e-commerce in Drupal. The name of the Drupal distribution is Wordpress Kickstart. What we did was simply extend the functionality of the Wordpress Migrate module and added some additional modules to streamline moving all of your content over to Drupal. The scope of this project is simple, we are not trying to create a Wordpress clone, built with Drupal (although that would be very interesting), rather a way for people to evaluate Drupal for themselves with their actual Wordpress content. This distribution could also be used as a base profile for users who are happy with Drupal and decide to stick with it. After talking with several developers at Drupalcamp Atlanta we thought it would be neat to use a Wordpress-ported theme TwentyEleven (which is still in development). I would place emphasis on the fact that we want this distribution to have some familiarity with Wordpress, albeit not a clone in any respect. The TwentyEleven theme is a cool theme and is also responsive, so we thought that would be a good theme to bundle with the distribution. The heart of this small distribution is the Wordpress Migrate module coupled with detailed instructions on the homepage. This step-by-step guide includes shortcuts and images to guide new users through the migration. If you can install Drupal, then you can follow this guide to import your Wordpress content into Drupal. The next thing we added was a WYSIWYG, pre-configured with image uploading enabled. WYSIWYG is something almost any user is going to need, so it was important to us to provide a WYSIWYG out of the box. Next, we added the popular Media module because of Wordpress’s emphasis on media. Like I have mentioned, we want to make this distribution look familiar to crossover users and so we include a Media link as a shortcut in the main toolbar. In addition, we have several modules included for the purpose of storing the front page default content, but otherwise only have made relatively small configuration changes. In my next blog, I will present the instructions for migrating content from Wordpress to Drupal, most of which reside in the distribution itself. Feedback is welcome! My hope is that this will be instructive for those considering trying out this distribution to see exactly what you need to do to move content from a Wordpress site into Drupal, using this install profile. 1. Wordpress vs. Drupal: The Prize Fight!, 2. WordPress vs Drupal, 3. WordPress or Drupal: Which One to Use for Small Business Websites?